AND I'LL SING ONCE MORE: It may be the most popular movie musical ever, and it may generate hundreds of stage productions around the world every year, but THE SOUND OF MUSIC has not been seen on Broadway since the original closed at the Mark Hellinger Theater 34 years ago. This season it comes home, with a new production directed by Susan H. Schulman (VIOLET, THE SECRET GARDEN, Encores! ALLEGRO and THE BOYS FROM SYRACUSE), choreographed by Michael Lichtefeld (STATE FAIR-see below), and designed by Heidi Landesman (THE SECRET GARDEN, BIG RIVER, SMOKEY JOE'S CAFE)...The sound of music for this production will be the responsibility of Michael Rafter (musical director), Bruce Coughlin (additional orchestrations) and Jeanine Tesori (dance arrangements)...Presented by Scorpio Entertainment Inc., Richard Frankel Productions and Jujamcyn Theaters, THE SOUND OF MUSIC is scheduled to open at the Martin Beck Theatre next March...More news, including the cast, in our next issue. ON THE ROAD WITH A SHOW: Rodgers & Hammerstein's newest musical, the 1996 Tony-nominated STATE FAIR, hits the road this autumn with a National Tour headed by original Broadway star John Davidson...Directed by Richard Sabellico and choreographed by Michael Lichtefeld, STATE FAIR - with a book by Tom Briggs and Louis Mattioli and an R&H score - is presented by NETworks, which will bring this blue-ribbon winner to more than 35 cities, including Atlanta, Houston, Miami, New Orleans, Milwaukee, Baltimore and Las Vegas, with bookings into late next spring. 10,000 MILES FROM BROADWAY: The term ""out of town tryout"" takes on a whole new meaning this season, when nine-time Tony winner Tommy Tune takes his newest project to Australia for its world premiere engagement prior to Broadway...Based on a series of successful presentations in New York and Houston last spring, Irving Berlin's EASTER PARADE, a new musical based on the 1948 M-G-M classic, is gearing up for a lavish production Down Under...With Tune as co-star, co-director and choreographer, the Judy Garland to his Fred Astaire is Sandy Duncan, Tune's popular MY ONE AND ONLY partner...Phillip Oesterman (THE WILL ROGERS FOLLIES, MY ONE AND ONLY) is writing the book for EASTER PARADE, which will contain such Berlin classics as ""Steppin' Out With My Baby,"" ""It Only Happens When I Dance With You,""and ""A Couple of Swells""...Presented in Australia by John Frost of the Gordon-Frost Organisation, whose stellar production of THE KING AND I travelled to New York last year as his nation's first export to Broadway, Irving Berlin's EASTER PARADE should be strolling down the Great White Way next season. FROM BERLIN TO JAPAN: In September, NHK Television (Japan) broadcast a music variety special celebrating the songs of Irving Berlin...THE IRVING BERLIN COLLECTION featured an all-star lineup of top recording stars performing ""Blue Skies,"" ""Cheek to Cheek,"" ""Alexander's Ragtime Band,"" and more. 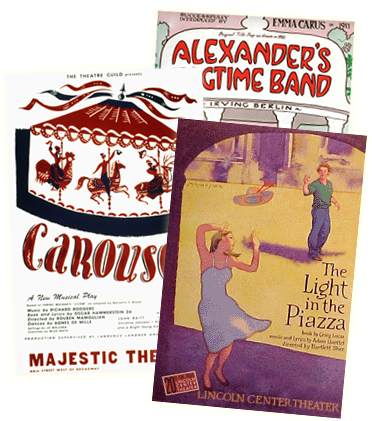 OVER AND OVER AGAIN: As a stage musical, Rodgers & Hart's 1935 extravaganza JUMBO is, regrettably, a white elephant, with a plot that requires full circus regalia including flying trapeze artists, acrobats and, of course, the title character in all his pachydermic glory; little wonder that this musical has been nearly forgotten since the mid '30s. 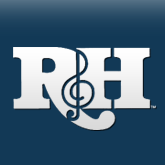 Equally little wonder, however, that its dazzling score most certainly has not...""My Romance,"" ""Little Girl Blue,"" and ""The Most Beautiful Girl in the World,"" are all Rodgers & Hart standards heard, to quote another title from this score, ""Over and Over Again""...This year Williamson Music, which represents most of Rodgers' copyrights, has acquired representation of the entire JUMBO score (including the Lorenz Hart interests), and is happy to reunite these songs under the same Big Top...Expect a new songbook shortly. ON YOUR TOES: R&H President Ted Chapin describes it as ""a rock & roll musical with a Rodgers & Hammerstein spirit,"" so it is wholly fitting that The R&H Theatre Library will eventually represent secondary rights to a new stage musical adaptation of the 1984 hit film FOOTLOOSE, in which kids use the exhilarating power of dance to find their confidence and unite a fractured community... Currently under development by Dodger Endemol Productions (THE KING AND I) and New York's Madison Square Garden, FOOTLOOSE gave a series of run-through performances in mid-summer that were so well-received it immediately jumped to prime production status and became, according to Newsday's Patrick Pacheco, ""one of the most promising commercial prospects of the new season""...Directed by '97 Tony winner Walter Bobbie (CHICAGO), with choreography by exciting newcomer A.C. Ciullo, FOOTLOOSE will feature several new songs by composer Tom Snow and lyricist Dean Pitchford to complement a film score already studded with such pop hits as ""Holding Out for a Hero,"" ""Let's Hear It For the Boy,"" and the title song (written by Pitchford and Kenny Loggins). WHISTLE A HAPPY 'TOON: Rodgers & Hammerstein's THE KING AND I will be the basis for a full-length animated feature film, produced by Rich Animation for Morgan Creek Productions, directed by Richard Rich (THE SWAN PRINCESS and numerous Disney titles)...The first animated feature based on a Broadway musical, THE KING AND I is scheduled for release in the spring of 1999."